07 « April « 2015 « Nothing in Biology Makes Sense! And by do it, I mean making awesome looking eggs. Did you decorate eggs for Easter? Well over the last 150 million years evolution has come up with something better. 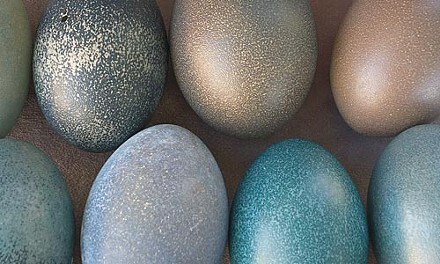 Over at Slate.com they have summarized the five oddest looking bird eggs. To make us feel bad about our egg dying skills. Or to showcase how amazing nature is. Your choice.